Lymphedema is a relatively common side effect following cancer treatment. Up to 56 percent of the patients may develop lymphedema after breast cancer treatment. According to the National Cancer Institute (NCI), lymphedema may occur following treatments for other cancers as well. Basically, lymphedema is possible whenever the lymph system is disrupted. Lymphedema is unpredictable. It has been reported to occur within days of surgery to up to 30 years after an injury to the lymph system. However, majority of lymphedema cases (80%) occur within the first three years after surgery. Lymphedema occurs when the lymph system no longer effectively removes fluid and proteins that circulate under the skin, causing limbs to swell and eventually become hard, heavy, inflexible, and painful. Lymphedema can be either congenital or acquired. Congenital lymphedema occurs in patients born with insufficiently developed lymph system. The condition develops when the lymph production overwhelms the lymph system's ability to drain. In contrast to the congenital lymphedema, the drainage insufficiency in the acquired lymphedema happens as a result of traumatic injury or surgery. The acquired lymphedema happens more frequently than the congenital lymphedema in developed countries such as the United States. Lymphedema is most frequently a clinical diagnosis. An experienced physician can arrive at the diagnosis thorough a physical examination. Radiographic (x-ray) imaging is frequently necessary to further increase the diagnostic precision and reliability. Commonly performed imaging studies include computed tomography (CT) scan, radionuclide lymphoscintigraphy, and fluorescent indocyanine green (ICG) lymphography. Many staging systems exist for lymphedema severity staging as there is no consensus in the medical field as of yet. First-line treatment of lymphedema is complete decongestive therapy (CDT) consisting of manual lymph drainage, compression bandaging, exercises to enhance lymphatic pumping, meticulous skin care, and persistent use of a pressure garment to maintain the volume reduction achieved through treatment. Many patients can be successfully treated and maintained with CDT. However, surgery may be the appropriate next step when the non-surgical treatment does not yield satisfactory improvement. At University of Iowa Hospitals & Clinics, we offer the full spectrum of lymphedema surgical treatments including the debulking procedure, the LVA, and the VLNT. LVA is an advanced, minimally-invasive procedure. 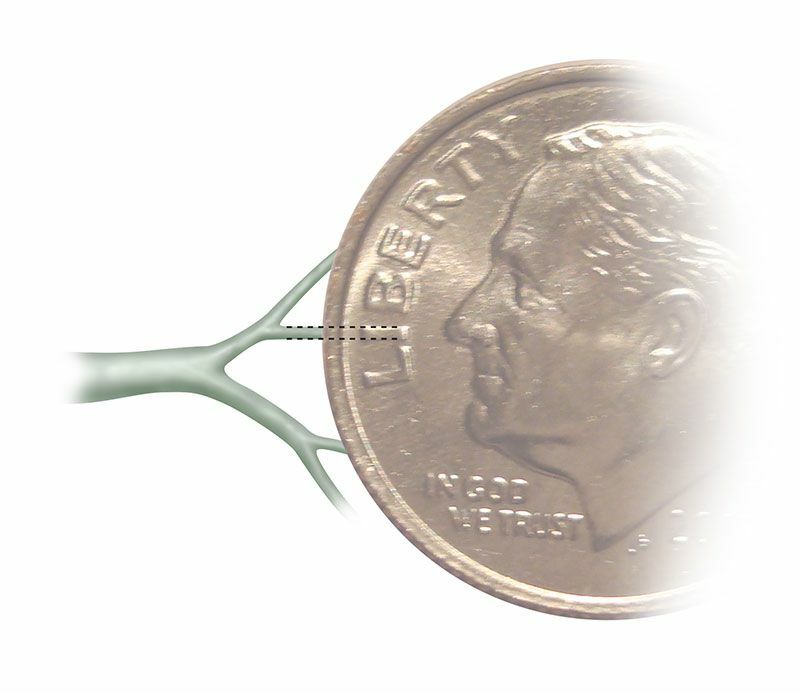 Using an ultra high-power microscope and supermicrosurgical technique, lymphatic channels in the range of 0.2 to 0.5 mm are connected to nearby veins. The sutures used in the LVA are nearly invisible to the naked eye. Successfully constructed LVAs allow lymphatic fluid to flow into the bloodstream, reducing symptoms in the affected limb. Read more about how Dr. Wei Chen used this innovative super-microsurgery technique to treat lymphedema. VLNT is a novel microsurgical modality that involves transferring healthy, functioning lymph nodes from another part of the body to the affected limb to treat lymphedema. Using sophisticated microsurgery techniques, the lymph nodes are transplanted while preserving their delicate blood supply, thereby preserving the function of the lymph nodes. It has proven effective in late-stage lymphedema.